When my favorite pair of earrings broke I was so upset! My husband Xaver bought them for me from Renegade Craft Fair for Christmas a few years ago. But one day, the post busted off the back of one of the earrings. 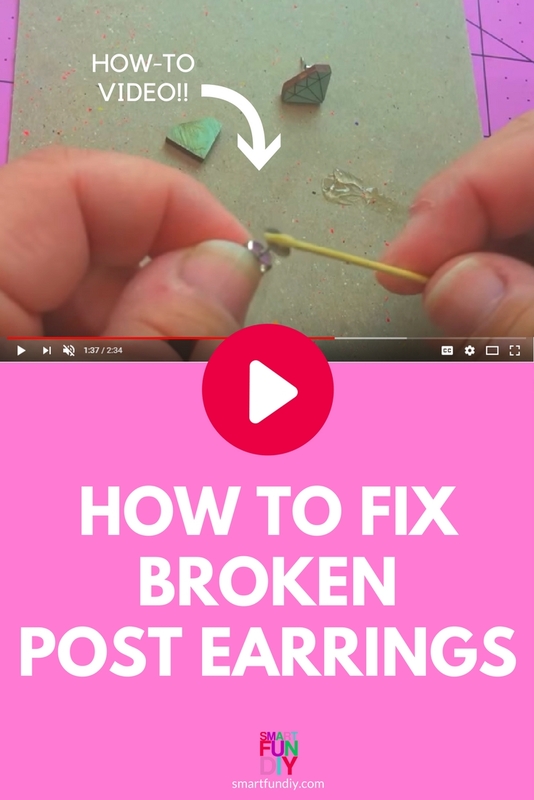 If you have broken post earrings, there's an easy way to fix earrings even if you don't have the post any more. 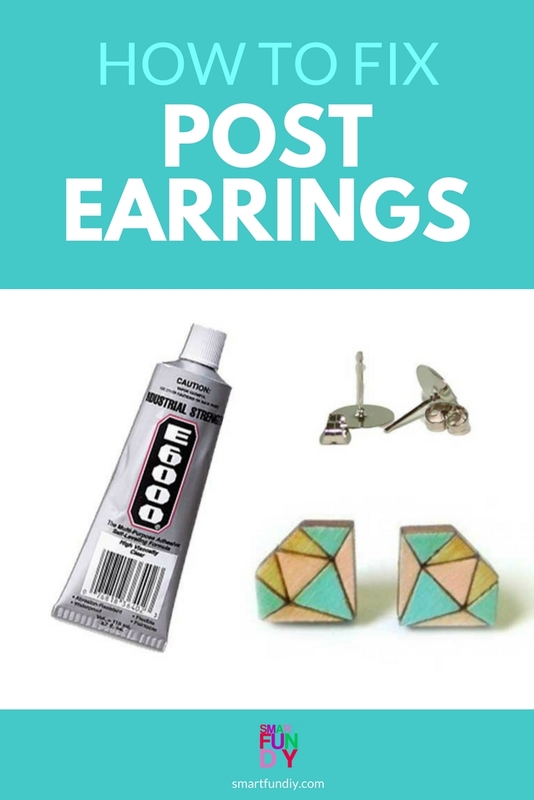 You won't believe how easy it is to fix post earrings! This post has affiliate links. When you click and make a purchase from these links, we might get a small kickback from the seller at no extra cost to you. If you still have the earrings post that originally came with the earrings and it's not damaged (like the pin did not break away from the flat disc part of the back) then you only need the E6000 glue to do this DIY earring fix. If you don't have the posts that came with the earrings (or the post broke), you can buy a pack like the ones I linked above. 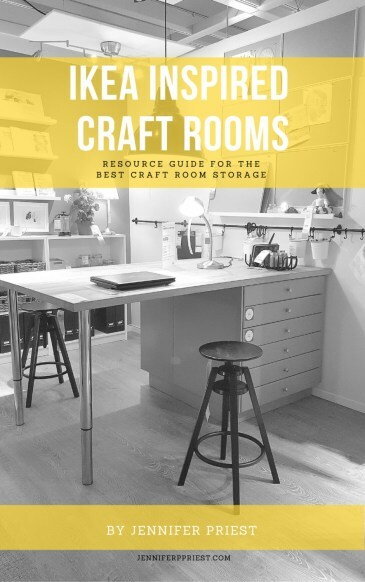 You can find packs of the posts and backs in the jewelry supplies aisle of most craft stores. Or you can always order these: Post Earring Backs. Make sure the back of the post matches the style of posts that originally came on the earrings. The earrings I have use a flat back post but some have a cup end and others have a bead end. Make sure the post earring backs you buy are the same post earring back style as the matching earring. I made a handy dandy video showing how to fix earrings for yourself. 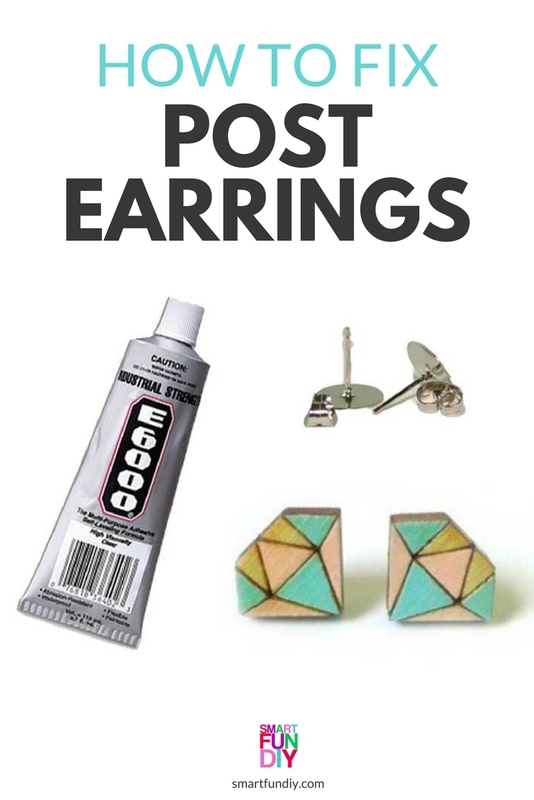 Save your favorite earrings by fixing broken post earrings yourself! Why can't you use hot glue to fix earrings? Sometimes the earrings you buy at a craft fair may have been hot glued together. Hot glue does not hold metal or wood together. If the earrings you bought at a craft fair were made with hot glue, it's just matter of time before they fall apart completely. Can you use super glue to fix post earrings? You can use super glue to repair post earrings. Super glue dries really fast which means you won't have much time to make adjustments to where the posts are positioned. I always get super glue on my hands and it stays stuck on your skin for days. Super glue holds really well but it's got too many issues for sure. 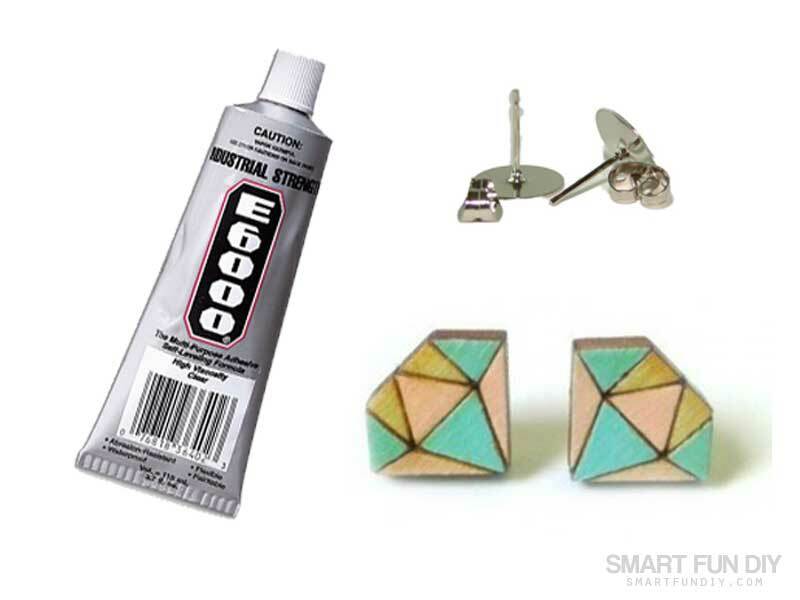 You can prevent craft fair earrings from falling apart by reinforcing them with E6000 or Aleene's Ultimate. First carefully peel the post away from the earring, peel away the glue residue, and then reattach the post to the earring with E6000. Use the same technique for fixing earrings to MAKE earrings out of any object with a flat back, such as Lego toys, buttons, and beads. I created the flower earrings above using resin beads shaped like flowers, flat back earring posts, and E6000. 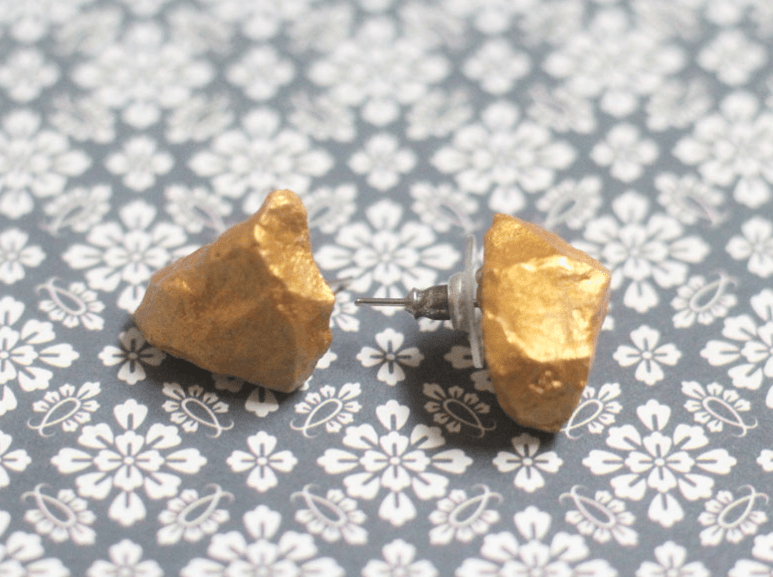 I really like these DIY faux gold stone earrings from Moms and Crafters: 18 ideas for making DIY earrings! The post end of my earrings broke because I had not packed the earrings properly. 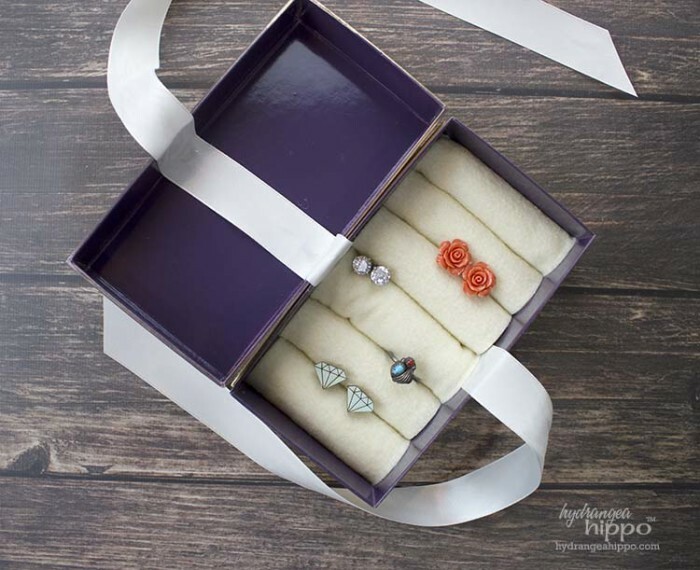 Keep your post earrings organized with this DIY travel jewelry box! I made it from an old cell phone box and felt manufactured from recycled plastic!! 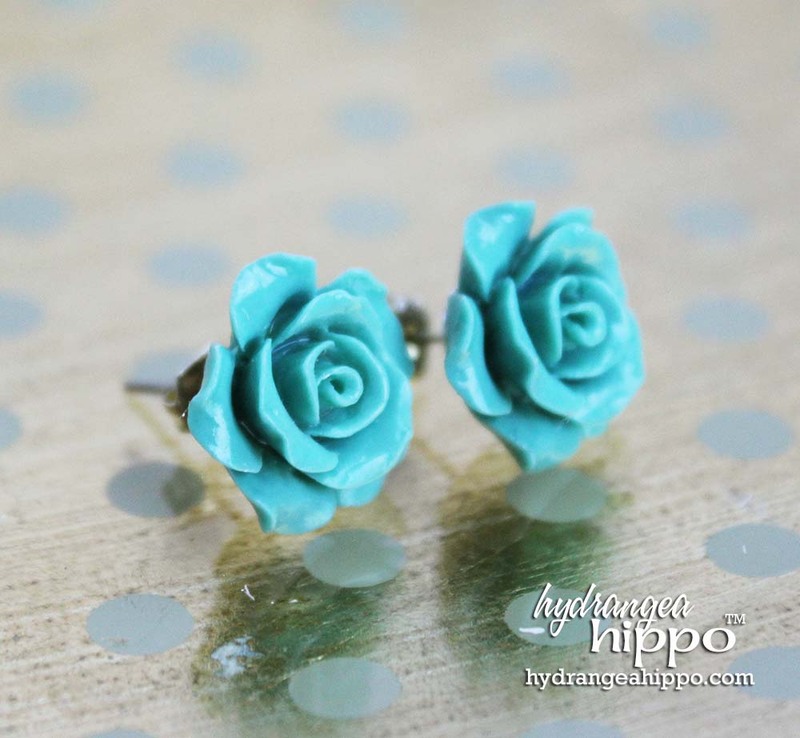 DIY Jewelry Set … Even if you've never made jewelry before! I hope this video was handy in helping you fix earrings or upgrade your post earrings. Pin this LIFE HACK for how to fix earrings! It’s so good to have a couple of recommendations for good strong glues that will work for jobs like this. Thanks. I’ve had this happen before and just got rid of the earrings (inexpensive ones). Thanks so much for sharing this on Party in Your PJ’s. I haven’t made jewelry before and didn’t realize you could buy the backs so this is great info! I love E6000 glue! Your DIY earring ideas are fun, too. I have never thought about making earrings like this. Thanks for the inspiration and for linking up with us at the #HomeMattersParty this week. Great information!!! No wonder I have had earrings fall apart. Thanks for sharing with us at Create and Celebrate!! I need to fix a broken post from a hoop earring any advise? You can try super glue to just glue the post on but it will likely break again. You’ll have to cut away the cup or plate on the bottom of the post so it fits the end of the hoop earring. The more of the post and hoop you can get to touch and glue together, the better. Let me know how it works out!